In “20 Years Younger” you will find over 60 Therapies from all over the World – USA, Russia, China, Japan, etc. which people have used for Centuries to look younger. It can be your personal “Look 20 Years Younger” Bible. The book will introduce you to Therapies, designed to teach you how to look younger and what is coming up in the near future, Which will make you look decades younger. All Therapies in “20 Years Younger” are based on Scientific Studies. Your chances of looking younger to an extent that would satisfy you even if you follow the best vegan diet and work out religiously are quite slim and here you will find things you can do way beyond good diet and nutrition. 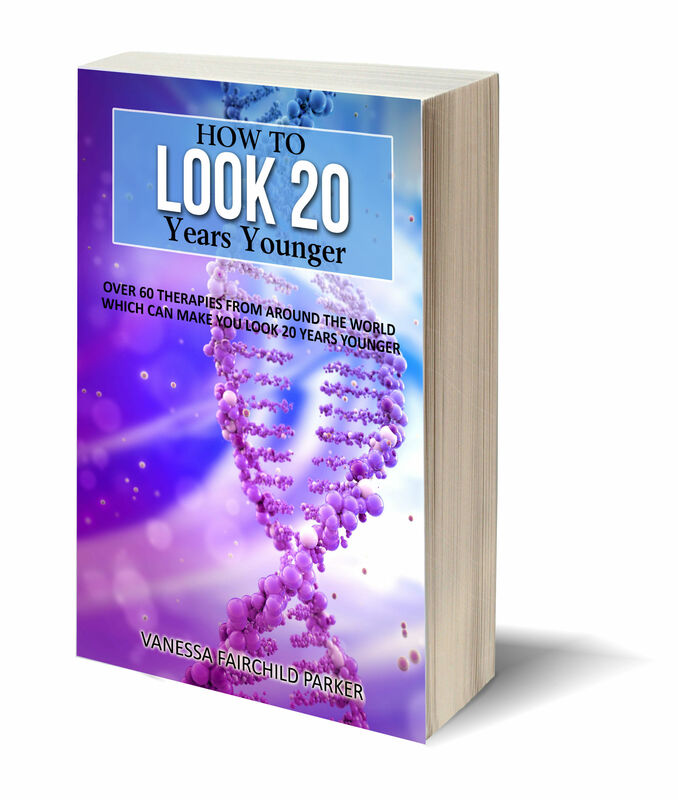 In “20 Year Younger” you will read about the scientific studies that have been made and the attempts of people who have followed certain protocols to look younger. This is one of the most informative books you will ever read. 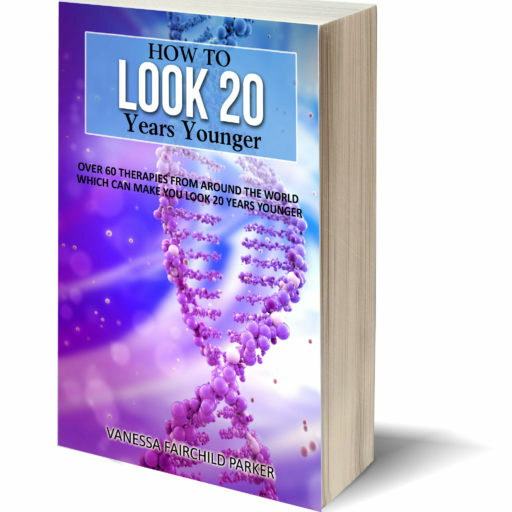 You will learn how to look 20 years younger. This book is for anyone, who loves life and wants to learn how to look younger, healthy and beautiful because nothing else is more exciting and amazing than life itself in all its forms. It may come as a surprise to many, but yes, it is within your power to look 20 years younger. I don’t believe in age. People are finally starting to realize that their age is not written in stone, but can be moved in whichever direction they choose to. As many like to say, age is really just a number. The quest for youth and immortality has always been one of the wildest dreams of humanity. Immortality has been sought throughout the world by millions of both genders. Statistics show that about 100,000 people die each day from aging. Each year over $160 billion are spent on finding the fountain of youth. Lifespan has been driven up for the past century and according to statistics, in 2050 the number of people 60 years or older will be approximately 2 billion, compared to less than a billion today. Man has long dreamt of cheating death and keeping youth forever and that is about to become a reality soon. Humanity has always fantasized of being able to reverse the aging process and we have never been closer to that moment than today. It appears as though life extending medicine is now coming up with another miracle each day and the time we would be able to live forever is just around the corner – scientists say that it will happen within the next 5-10 years. Until then, your mission should be to grow younger every day. Homo sapiens will never get used to the idea that he is mortal. So here come the legends of a mythical potion – the elixir of life, which can keep your youth for eternity. Myths about eternal life have been known since the beginning of time. Some are still in a quest for the Holy Grail – the cup that provides eternal youth, happiness and food in infinite abundance. To make an elixir for an eternal life has been the dream of many scientists throughout the past centuries. In Ancient China many emperors sought the fabled elixir of immortality. To reverse aging has been the Holy Grail for medicine. One of the ever-present life-long quests of humans results in millions of researchers trying to figure out what can stop and reverse aging. They are studying worms, rats, fruit flies, molecules, etc. Often the results don’t have a happy ending – remember the Chinese Emperor Qin Shi Huang who died after he drank an elixir of immortality? The history of scientific pursuits keeps for us stories from the Egyptian medical papyrus, Ayurveda followers, Alchemists and Tibetan monks. Ancient Greek sources mention a tree juice, which extends human life and Ancient Indians talk about a tree that extends human life to 10,000 years. Trees can live a very long time – for example, there are records of a macro zamia tree “Great Grand Father Peter”, which is midway between a fern and a palm and which is believed to be 15,000 years old. A California White Mountains bristlecone pine tree is believed to be 5,000 years old and a pine tree in Greece is said to be the oldest tree in Europe – over 1000 years old. Some animals also live longer than humans – there is a jellyfish, which was discovered in the Mediterranean in the 1880s. It never truly dies, but rather recycles itself while aging backwards from adult stage to an immature polyp stage over and over again. A Greenland shark can live 400 years, a deep sea clam, named after a Chinese dynasty during which it was born, lived for 507 years and was accidentally killed in 2006 while scientists tried to transport it for climate change research. In Middle Ages alchemists kept on looking for that philosophical stone, which turns metals to gold, cures all diseases and guarantees eternal life. Nature has invested so much perfection in the creation of any living creature and plant. And man is undoubtedly the most genius creation of all. The normal life span according to healers should be 154 years (22 stages by 7 years each). According to another rule, a law in biology, mammals live 5-7 times the length of their development. Therefore the human lifespan should be 125-175 years because the period of his development is 25 years. The Japanese emperor Jimmu is known to have ruled Japan for 126 years. The Greek priest Epimenid somehow managed to extend his life to 300 years. According to Chinese legends, Guan Chen Czi legendary lived for over 1400 years. LP Suwang, who died in 1995 was rumored to be capable of miracles. He lived for 200 years. Swami Buaji jogi lived in New York and left the city when he was said to be 116 years old. Tao Porchon-Lynch, 98 is an active yoga instructor, who started taking ballroom dancing lessons when she was 90. In his history of India, Peter Maffens talks about a man named Numise Cogua, who was 370 years old and whose teeth, hair and beard grew 4 times. He died in 1566. Himalayans often live over 120 years in good health. So many cases have made headlines in terms of female fertility either. You might have read about the 70 year old Rajo Devi Lohan from India, who gave a first time birth to a baby at 70 through IVF, the 72 year old Daljinder Kaur, who gave birth to a healthy boy in April 2016 or Malegwale Ramokgopa, who allegedly gave birth in 1931 to twins 3 days after her 92nd birthday. Today scientists have ways to change the genomes of embryos and make a child a centenarian before it’s even born. There are cases when people with genetic anomalies start aging too fast and there are cases of people, who start growing backwards once they hit a certain age. An example of that is the sensational case of the Japanese woman Say Senagon from Fukoka, who started getting younger once she turned 75. This happened in the nineties of the last century. Fist her gray hair turned to black. Then her gums started to bleed and she could not wear her dentures – turned out she had new teeth growing. Say started having strong sexual desires, her wrinkles disappeared, her skin became smooth and no one was able to recognize her. She also resumed her menstrual cycle soon after. Say divorced her husband of 50 years and married a 40 year old man. Soon after, she even had a child. People in Japan wanted to know how she regained her youth and there were detectives following her all over who reported what she ate, how she exercised, slept, etc. She later got examined in the Institute of gerontology and it got clear that what caused her unusual aging backwards was a natural process in her body. The team of scientists discovered a gene – “oncogene”, which was able to destroy aged cells. This gene is able under certain circumstances to lead to diseases, and under others – to reverse aging in the human body. Usually, oncogenes lead to uncontrollable cell division and eventually create tumors, but in Say’s case – they have somehow acted as genes of youth. As of now scientists haven’t been able to discover the reason of the awakening of the youth gene in Say, but they believe it’s possible that the activation may have happened after she had to take a lot of bio-stimulators for her liver surgery. There is something in our body that can maintain youthfulness and it has been a lifelong quest for many trying to find out where the secret is hidden. What could be holding the key of the fountain of youth? Is it something inside of us or is it some substance we can source from nature or maybe a procedure? Long life however is not that great when you sacrifice the social part of it in order to live long and stop doing many things that you enjoy. Have you noticed that most people want to stay away from individuals who are obsessed with eating in a certain way or being slaves to different extreme diets and rituals. Once you lose the fun part of life, and stop enjoying it, your body stops helping you look younger, because your mind doesn’t enjoy the process and anything you don’t really enjoy doesn’t work. Your chances of looking younger to an extent that would satisfy you even if you follow the best vegan diet and work out religiously are quite slim. I will introduce you to 68 Scientific Studies, many of which are beyond proper nutrition and exercise. Some of the above have been used successfully by many, others – by a few individuals only, but have achieved exceptional results. This book could have been 50 times longer, while giving you the same amount of actual information at the same time. My purpose is to make sure you learn the maximum amount of information in the most possibly synthetized way without boring you with pages and pages of stories which have no relevance to what you want to know. I will introduce you to many scientific research from all over the world – USA, Russia, Japan, China, etc., designed to make you look younger. I will tell you about people who have tried them on themselves, what the science says about these therapies, designed to make you look younger and what new is coming up in the pipeline. Some studies are industry sponsored and less objective, some are not. Many foods have been wrongly demonized in the past, but the newest studies show that they are in fact good for you. There have been so many studies conducted on almost everything and the more studies come out to life, the more of them simply contradict each other. The University of Harvard for example will conclude that this and that is good, while Stanford University researchers will swear into exactly the opposite outcome. As a result, we all get confused on what is good for us and what is not. Many studies that test groups of people also add other activities to their change of diet like exercise and meditation, which changes the final outcome a lot, because since the diet wasn’t the only variable that is different between all groups, then we don’t really know whether those good results were due to the diet or to the other techniques. Take coffee for example. Hundreds of studies show it’s good for you and it’s full of antioxidants and encourage you to drink it, while hundreds of other teams of scientists and nutritionists claim it’s the worst drink you could put inside your body and you should definitely quit it. Researchers are doing their best to increase the number of healthy years in people’s lives and one of the reasons they are now able to extend lifespan is because they can prevent diseases. The better quality of life you have – the harder it would be for any disease to get to you and the longer your life span will be. Before you start any of the therapies, designed to make you younger in this book, you need to stabilize your health first and make sure you have done your best to get rid of any disease within your body. Any pain you have in your body shows up on your face, changes your face expression and makes you look tired and older. Chronic pain and inflammation age you extensively. The longer you could keep yourself healthy – the longer you will live. All the stories in this book are taken out of medical journals and scientific studies. I am unaware of any pre-existing health conditions you might have. You should consult with a qualified medical practitioner before using any of the therapies in this book. The therapies in this book are not meant to be substitute for a sound medical advice. If you have an acute or chronic condition, you should consult your Doctor before using on yourself any of the recommended therapies listed below. The author makes no claims about the effectiveness of the treatments described in this book. WARNING: Please Do Not Waste Your Money on This Book, Unless You Intend To Implement The Scientific Therapies Described Inside, Because They Really WORK and Might Change Your Life!